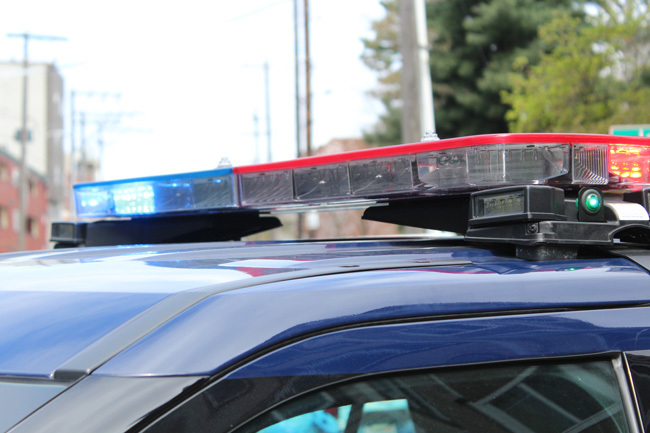 Staff at a store in the 500 block of Queen Anne Avenue North called 911 at 12:51 p.m. Tuesday, Nov. 6, to report a trespasser had pulled a knife on a security officer, and was still standing on the corner outside the store. Officers responded to the store and spoke with the security officer, who said he’d asked the suspect to leave after she’d been in the bathroom for an extended period of time. While he was escorting her off the property, the suspect pulled a six-inch pocket knife out of her jacket pocket, unfolded it and pointed it at the security officer while threatening him. Officers located the suspect standing on the corner of First Avenue North and Harrison Street. She had changed her pants, but the security officer confirmed it was her. The pocket knife was located in her right jacket pocket. She was arrested and booked into King County Jail for felony harassment. Police responded to a reported burglary at an apartment in the 700 block of Sixth Avenue North at 12:39 a.m. Sunday, Nov. 11. The victim and her partner said they left the apartment at 6 p.m. and had left the back door unlocked. They noticed a desk had been rummaged through and some property was missing when they returned home at 11 p.m. The front door was still locked when they got home, so they assumed the burglar had come in through the back door. Among the missing items were a white Kate Spade purse, five Chinese bank cards, a Chinese identification card, a silver Apple Macbook with a pink keyboard protector, and a large plush husky. Officers advised the victims to close their blinds when they leave and to remember to lock their doors. A homeowner in the 700 block of West Cremona Street called 911 to report a burglary at 9 p.m. Sunday, Nov. 11. He said he’d been away from the house from about 3-5:15 p.m. When he got home he noticed that the back French doors were standing open and the lights that he’d left off had been turned on. Inside the house someone had rummaged through kitchen cupboards and taken a bunch of food. Then they went through dresser drawers and an office, taking some jewelry, which included a gold and silver Rolex watch, family heirloom bracelets and rings, a Tag Heuer watch, and a Bose music system and an HP laptop. More than $7,000 in property was stolen in total. There were no signs of forced entry, but the victim said the French doors are pretty easy to force open, and that his dogs bust through them regularly. Police responded to a burglary at a condo in the 3100 block of Third Avenue West at 12:45 a.m. Monday, Nov. 5. The victim told police he and two roommates live in the condo. He and another roommate left for work at 5:30 a.m. on Nov. 3. When the third roommate woke up at 6 a.m., he found the back patio door in the kitchen standing wide open. The roommates told police that the door is sometimes hard to close, so it’s possible that it was unintentionally left unlocked. A silver 13-inch Apple Macbook Air that had been charging on the dining room table was taken. Some video game equipment was taken from the entertainment center in the living room, including a Nintendo Switch, four Switch controllers and a Nintendo Wii U Gamepad. About $1,800 in electronics were taken from the condo.